A quick and dirty primer for NON-BROADCAST COMPANIES interested in a professional broadcast workflow. Private companies with a large A/V department, overzealous marketing teams, or large companies with an interest in multi-site live broadcasting might find themselves interested in a professional broadcast automation solution. And we’re not here to discourage you from that attempt. We do, have a few general warnings and some broad tips for you to follow. The biggest risk, and really the only one to worry about, is getting carried away. The main problem you face is getting overwhelmed, or over-excited, and then purchasing too much complicated equipment. Make use of the instruments you’ve got. If you already have a DSLR or another camera you use for promotions, you don’t need anything else to get started broadcasting live (you may need a switcher and some cabling, but that’s for y’all to figure out). What is more, do not purchase any new workstations or complicated NLEs unless you are terribly positive that that is what you would like to try and do. Nearly everything you you might want to to do at this level can be achieved with inexpensive or free software (talking iMovie, Windows Movie Maker, and Blender here) that runs just fine on the PC workstations you already have. When speaking with a manufacturer, make it apparent that you are not looking for something tailored to a traditional broadcast environment. 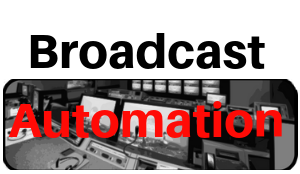 Most automation firms have products specifically tailored to a professional broadcast work flow, and that’s just overkill for what you probably want. It’s not likely you’re ingesting a lot of video on a regular schedule, and you definitely will not be utilizing the machine-controlled computer hardware as long as you do not have to record off a network feed. Define your budget 1st, and don’t move on it. If the price is in excess of that, then you don’t need it. From where will you be broadcasting? Will you be centering it all around one building (or one room), or are there multiple sites you must broadcast to? Utilize your existing network infrastructure once broadcasting to remote locations. E.G., your company may already have a server setup which can be accessed directly (FTP is fine but a remote viewer won’t cut it) from completely different locations. If that’s the case, then you already have a good chunk of the needed infrastructure. Do analysis into what equipment you would like to have. Will there be the need to change between live and recorded video throughout a broadcast? I.E., are you ready to play a recorded promo video throughout a live, company-wide address? If so you will need an appropriate router/switcher for your setup. These are the kind of questions it is absolutely vital to ask yourself before purchasing anything. Will you have staff dedicated strictly to running this system, and what’s their proficiency level? What quantity of time does one need to spend on this, and what are they being paid? For a live address to a large audience, you’ll have tosetup, at the very least, an improvised control center where the technician(s) will take in live video, interface with your various media, and then direct playout along with monitoring and switching. Before you purchase a system, draw up a physical schematic of what the end product will look like. Visualize the exact scenario(s) for which it will be used. Say you’ve got a live address going on during a stockholder meeting, and you want to broadcast that to every company branch. And in the middle of said address, you would like to play your company’s new promo video. Which means you will need a camera setup (with operator) for the live portion, a master control workstation to observe the live feed and cue up video. And you also need a way to change between recorded video and back. It’s most important to consider how this layout is going to define your needs when shopping for a new system. This is not an exhaustive how-to guide, but we hope it helps. For the specific equipment you will need, you’re going to have to to do some research. But please do stay tuned to our blog. In the future we plan to bring you more in-depth guides about specific broadcast automation software and hardware, and to define how they work with each other. Make sure to follow us for more updates! Broadcast automation systems are made up of software applications and integrated hardware that do the job of preparing and handling video and audio media. They enable the user to manage workflows for the marketing, production and broadcast departments to automate scheduling— from general schedules for a whole season, to programming and schedules for a particular week or day. In television, broadcast automation workflows have greatly increased in functionality over recent years, particularly as the cost of SSD storage decreases. Television shows and TV commercials, along with digital on-monitor graphics (bug, info, banner, etc.) can all be stored on servers and controlled by remote workstations making use of the 9-Pin Protocol and VDCP. These systems can be complex, tied-in as they are with components which enable the ingest of media from satellite networks and electronic metadata collection and administration on the video libraries, together with archival of footage for later on use. Early automation systems were electromechanical systems that used relays. Afterwards systems ended up “digitalized” only to the that they needed to be, and were restricted to radio in lieu of TV. Audio was stored on reel-to-reel audio tape. Subaudible tones on the tape marked the top of every track. The computer would simply rotate amongst the tape reels right up until the computer’s internal clock matched that of the scheduled event. This was usually the situation on overnight and weekend shifts when there was no broadcast engineer available, and most of the time for smaller stations with merely a single engineer on contract. Scheduling was an essential advance for these systems, enabling correct timing. Some systems use GPS satellite receivers to acquire exact atomic time, for ideal synchronization with satellite-sent programming. Modern television automation systems utilize a very similar workflow, but with components and software overhauled for the TV market. Tape reels and VTRs are still commonly used in even mid-size broadcast installations, and even the most modern automation solutions make concessions to the control and use of this legacy hardware. At these stations, engineers must accordingly make space in their workflow’s schedule to accommodate ingest of taped media onto file servers. As you can guess, this takes time and effort so any station that can is making the effort to eliminate the use of its legacy hardware. Today’s operator need only remain present in the studio during live events and for schedule changes. Modern automation systems allow for the user to safely set and then forget their workflow as long as nothing unexpected pops up. In conclusion, the modern television workflow is easier to use and more hands off than ever before. Leaving the operator to spend their time on more pressing matters, or as is becoming common, leaving stations to eliminate a large percentage of their operational staff.